Dronning Louises Bro (English: Queen Louise's Bridge) is a bridge across The Lakes in central Copenhagen, Denmark. It joins Frederiksborggade in Indre By (city centre) with Nørrebrogade in Nørrebro and separates Sortedam Lake (Sortedam Sø) to the northeast from Peblinge Lake (Peblinge Sø) to the south west. The bridge was designed by Niels with the Pills, and constructed between 1885 and 1887. The bridge is named after Queen Louise, King Christian IX's wife. It was listed in 1997. In 1618-20, Christian IV built a combined embankment and a wooden bridge as part of his new Frederiksborg Road. The crossing was improved in the 1720s. The embankments in each end was reinforced with large stones and the central bridge section was replaced by a drawbridge. In the second half of the 19th century the bridge was unable to cope with the booming traffic that was a result of the redevelopment of the area outside Copenhagen's fortifications as well as the growing population in general. The crossing was notorious or being windy even on quiet days and the architect Emil Blichfeldt therefore proposed a bridge lined with shop with inspiration from the Medieval bridges of Florence and Venice. Blichfeld pointed out that the extension of Frederiksborggade had developed into a thriving shopping street with no vacant shops and that the solution would therefore make sense. His proposal was featured in the magazine Ude og Hjemme in 1883 where it was described as "both practical and artistically well-designed. 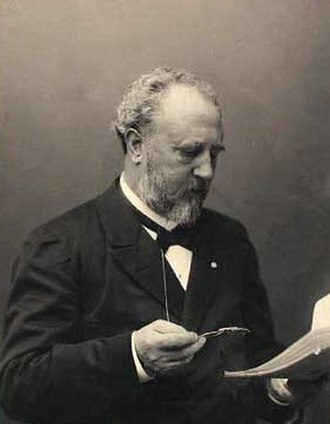 The proposal was discussed on a meeting in the City Council on 18 April 1884 where it was supported by 13 votes against 12 but the magistrate instead chose a simpler and more traditional proposal by Vilhelm Dahlerup. Construction began in 1885 and the bridge opened on 7 September 1887. The bridge became known as the Peblinge Bridge (Peblingebroen). Queen Louise's Bridge is built of granite and has three arches. The cast iron railings are decorated by four identical bronze cartouches featuring Copenhagen's coat of arms surrounded by weapons, helmets and lions. The railing integrates eight lampposts and four flagpoles. It was listed in 1997. The bridge is mentioned in the song Hjerterdame on Gasolin's 1986 album Forklædt som voksen. 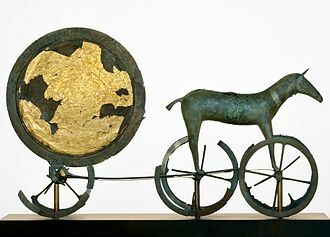 fra 1986. The bridge was located close to Kim Larsen's home on Rørholmsgade. ^ "Tidstavle" (in Danish). Nørrebro Lokalhistoriske Forening of Arkiv. Retrieved 13 October 2015. ^ a b c "Dronning Louises Bro" (in Danish). 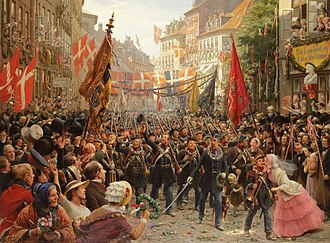 Selskabet for Københavns Historie. Retrieved 15 October 2015. ^ "Dronning Louises Bro" (in Danish). dengang.gkHistorie. Retrieved 15 October 2016. ^ "Sag: Dronning Louises Bro" (in Danish). Kulturstyrelsen. Retrieved 15 October 2015. ^ "Kim Larsens danmarkskort: Se stederne fra hans og Gasolins sange". DR. Retrieved 2 October 2018. Wikimedia Commons has media related to Dronning Louises Bro. The coat of arms of Copenhagen was granted 24 June 1661 by king Frederick III of Denmark in appraisal of its citizens efforts in repelling the Swedish siege and attack on Copenhagen in 1658-1659. 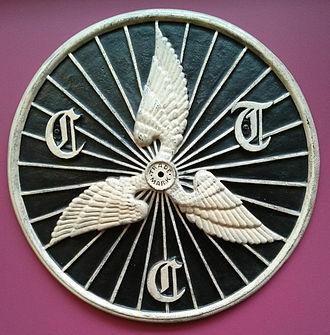 An accompanying royal letter of privilege granted the citizens of Copenhagen the same rights to own fixed property as applied to the Danish nobility, the central feature of the full arms are three towers rising above water, a symbol appearing in the towns seal from 1296. The water element refers to the original name Havn meaning Harbour. The left and right towers represented Absalons castle and the tower a church building inside the castle. By the 16th century, the tower was no longer depicted as a church tower. The version granted by King Frederick III modified the original symbol by adding a knight carrying a sword in front of the gateway. The central tower features an oval with the kings F3 cypher above the city gate, the greater coat of arms features three helmets, banners and a wide assortment of military equipment. Venice is a city in northeastern Italy and the capital of the Veneto region. It is situated across a group of 118 small islands that are separated by canals and these are located in the shallow Venetian Lagoon, an enclosed bay that lies between the mouths of the Po and the Piave Rivers. Parts of Venice are renowned for the beauty of their settings, their architecture, the lagoon and a part of the city are listed as a World Heritage Site. In 2014,264,579 people resided in Comune di Venezia, together with Padua and Treviso, the city is included in the Padua-Treviso-Venice Metropolitan Area, with a total population of 2.6 million. PATREVE is a metropolitan area without any degree of autonomy. 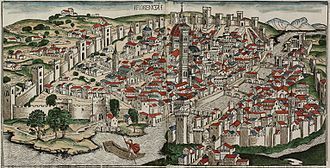 The name is derived from the ancient Veneti people who inhabited the region by the 10th century BC, the city was historically the capital of the Republic of Venice. Venice has been known as the La Dominante, Queen of the Adriatic, City of Water, City of Masks, City of Bridges, The Floating City, and City of Canals. The City State of Venice is considered to have been the first real international financial center which gradually emerged from the 9th century to its peak in the 14th century and this made Venice a wealthy city throughout most of its history. It is known for its several important artistic movements, especially the Renaissance period, Venice has played an important role in the history of symphonic and operatic music, and it is the birthplace of Antonio Vivaldi. Venice has been ranked the most beautiful city in the world as of 2016, the name Venetia, derives from the Roman name for the people known as the Veneti, and called by the Greeks Eneti. The meaning of the word is uncertain, although there are other Indo-European tribes with similar-sounding names, such as the Celtic Veneti, Baltic Veneti, and the Slavic Wends. Linguists suggest that the name is based on an Indo-European root *wen, so that *wenetoi would mean beloved, lovable, a connection with the Latin word venetus, meaning the color sea-blue, is possible. Louise of Hesse-Kassel was Queen of Denmark as the wife of King Christian IX of Denmark. Louise of Hesse was a descendant of an ancient German princely family, the Landgraves of Hesse and she was a daughter of Prince William of Hesse-Kassel and Princess Charlotte of Denmark. Her mother, a princess of Denmark, saw her become the countrys queen, as children, her brother Frederik Wilhelm, her sisters and she were the closest relatives of King Christian VIII who were likely to produce heirs. It was easy to see that the succession from King Frederick III of Denmark would probably become extinct within a generation. 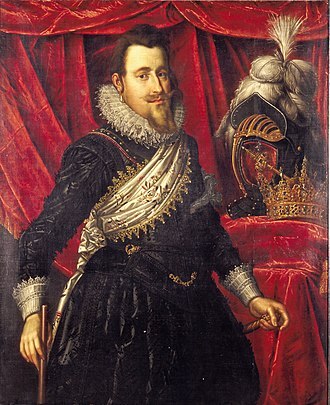 Louise was one of the descended from Frederick III of Denmark. 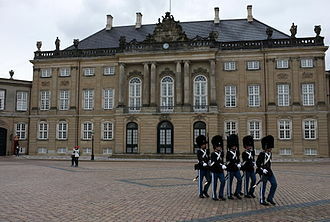 Louise was married at the Amalienborg Palace in Copenhagen on 26 May 1842 to her second cousin Prince Christian of Schleswig-Holstein-Sonderburg-Glucksburg and he was soon selected as hereditary prince of Denmark and ascended the throne of Denmark as King Christian IX. Louise and Christian lived a family life. Louises mother and siblings renounced their rights to the Danish throne to her, Louise herself in turn renounced her rights to the throne to her spouse Christian. In 1852, this order was confirmed by the Nordic countries. In 1847, Prince Christian was, with the approval of Europes Great Powers and this resolved the succession to the Danish crown, but not Denmarks claim on the twin duchies of Schleswig and Holstein. The result of conflict was the Second War of Schleswig. On 3 July 1853, King Frederick VII confirmed this succession, by that act and Christian became Crown Princess and Crown Prince of Denmark. Louise had a relationship with King Frederick VII, who contradicted the succession of her spouse. Therefore, the King and the Crown Prince couple did not see each other very often, on 15 November 1863, Louise and Christian became Queen and King of Denmark. 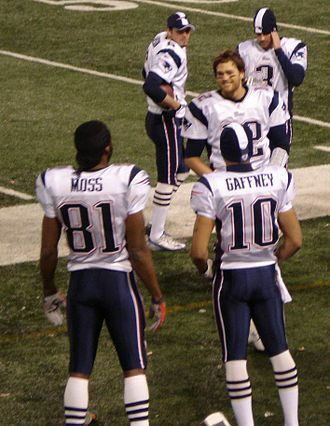 Their life style is described as simple and puritan, and as this suited the contemporary view of a family life. As queen, Louise lived a life isolated from the people and she took no part in state affairs, her political interests focused on the arranged dynastic marriages of her children and were affected by her anti-German views. Bryggebroen is one of the new bicycle/pedestrian bridges in Copenhagen inner harbour and is a 190 metres combined pedestrian and bicyclist bridge directed east-west. The bridge is joined to Kalvebod Brygge and Cykelslangen bridge and Islands Brygge and thus connects Vesterbro on Zealand, the bridge has become a popular place for attaching love padlocks. The bridge which opened to public on 14 September 2006 is 5.5 metres wide, divided by a path and cycling path. The name of the bridge was among the suggestions in a project organized by the Danish daily Politiken in which more than 200 suggestions were submitted. 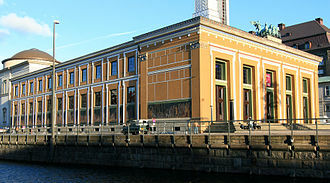 The name Bryggebroen was elected by the newspaper as the winner because it connects the two quays Islands Brygge and Kalvebod Brygge, the Copenhagen street name committee accepted the name and it became official. When the bridge was opened, the area surrounding it was still a site which created a need for a construction of a temporary wooden bridge on the west side. Also, it was necessary to create a path, south of the shopping mall Fisketorvet. Langebro is a bascule bridge across the Inner Harbour of Copenhagen, connecting Zealandside H. C. Andersens Boulevard to Amagerside Amager Boulevard and it is one of only two bridges to carry motor vehicles across the harbour in central Copenhagen, the other being Knippelsbro. It was a structure with a drawbridge in the middle that allowed ships to pass. The bridge was built for the military but was open to civilian pedestrians. The bridge was refurbished several times, plans for a new Langebro were first presented in 1885 but not realized until 1903. The new bridge was located 400 ft to the south of the old one, Vestre Boulevard and it was a swing bridge resting on nine stone pillars. The swing bridge was used for both trams and the Amagerbanen railroad. With growing automobile traffic, the new bridge soon became outdated, the bridge was subject to sabotage on 23 March 1945. The temporary bridge was replaced by the current Langebro in 1954, Langebro is a play by Hans Christian Andersen, named for the bridge in Copenhagen. 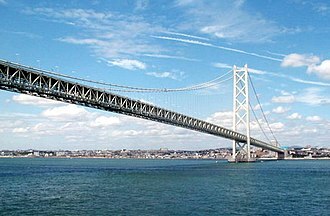 A bridge is a structure built to span physical obstacles without closing the way underneath such as a body of water, valley, or road, for the purpose of providing passage over the obstacle. There are many different designs that each serve a particular purpose, the Oxford English Dictionary traces the origin of the word bridge to an Old English word brycg, of the same meaning. The word can be traced back to Proto-Indo-European *bʰrēw-. 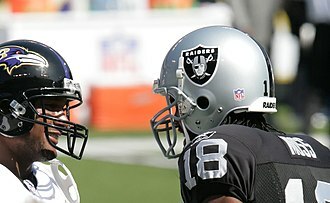 The word for the game of the same name has a different origin. 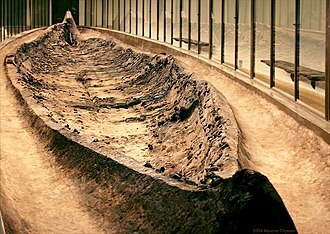 The first bridges made by humans were probably spans of cut wooden logs or planks and eventually stones, using a simple support, some early Americans used trees or bamboo poles to cross small caverns or wells to get from one place to another. Dating to the Greek Bronze Age, it is one of the oldest arch bridges still in existence, several intact arched stone bridges from the Hellenistic era can be found in the Peloponnese. 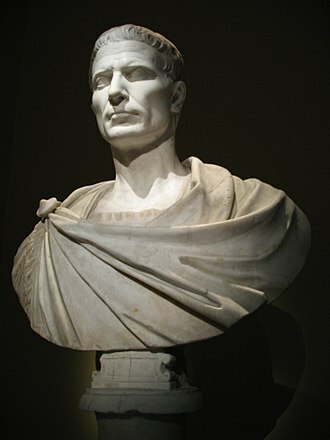 The greatest bridge builders of antiquity were the ancient Romans, the Romans built arch bridges and aqueducts that could stand in conditions that would damage or destroy earlier designs. An example is the Alcántara Bridge, built over the river Tagus, the Romans used cement, which reduced the variation of strength found in natural stone. One type of cement, called pozzolana, consisted of water, sand and mortar bridges were built after the Roman era, as the technology for cement was lost. In India, the Arthashastra treatise by Kautilya mentions the construction of dams, a Mauryan bridge near Girnar was surveyed by James Princep. The bridge was swept away during a flood, and repaired by Puspagupta, the use of stronger bridges using plaited bamboo and iron chain was visible in India by about the 4th century. A number of bridges, both for military and commercial purposes, were constructed by the Mughal administration in India and this bridge is historically significant as it is the worlds oldest open-spandrel stone segmental arch bridge. European segmental arch bridges date back to at least the Alconétar Bridge, rope bridges, a simple type of suspension bridge, were used by the Inca civilization in the Andes mountains of South America, just prior to European colonization in the 16th century. For legal purposes motor vehicles are often identified within a number of vehicle classes including cars, motorcycles, off-road vehicles, light trucks and regular trucks. These classifications vary according to the codes of each country. ISO3833,1977 is the standard for road vehicles types, terms, as of 2010 there were more than one billion motor vehicles in use in the world excluding off-road vehicles and heavy construction equipment. Global vehicle ownership per capita in 2010 was 148 vehicles in operation per 1000 people, the United States has the largest fleet of motor vehicles in the world, with 239.8 million in 2010. Vehicle ownership per capita in the US is the highest in the world with 769 vehicles in operation per 1000 people. The Peoples Republic of China has the second largest fleet in the world, with more than 78 million vehicles. 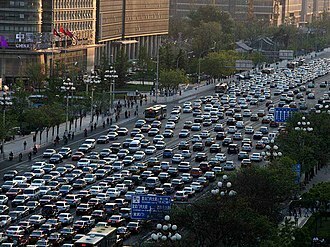 In 2011, a total of 80 million cars and commercial vehicles were built, led by China, the US publisher Wards, estimate that as of 2010 there were 1.015 billion motor vehicles in use in the world. This figure represents the number of cars, light and heavy duty trucks, and buses, the world vehicle population passed the 500 million-unit mark in 1986, from 250 million motor vehicles in 1970. Between 1950 and 1970, the population doubled roughly every 10 years. Two US researchers estimate that the fleet will reach 2 billion motor vehicles by 2020. Navigant Consulting forecasts that the stock of light-duty motor vehicles will reach 2 billion units in 2035. The global rate of motorization increased in 2013 to 174 vehicles per 1000 inhabitants, in developing countries vehicle ownership rates rarely exceed 200 cars per 1,000 population. The five largest markets, Italy, the UK, the EU-27 member countries had in 2009 an estimated ownership rate of 473 passenger cars per 1000 people. According to Wards, Italy had the second highest vehicle ownership per capita in 2010, Germany had a rate of motorization of 534 vehicles per 1000 people and the UK of 525 vehicles per 1000 inhabitants, both in 2008. 1886 Rover safety bicycle at the British Motor Museum. 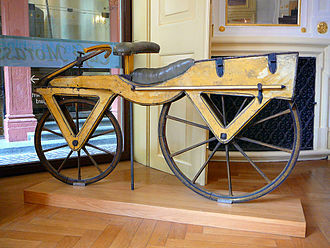 The first modern bicycle, it featured a rear-wheel-drive, chain-driven cycle with two similar-sized wheels. 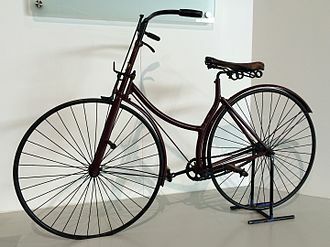 Dunlop's pneumatic tire was added to the bicycle in 1888. Prince Christian's birthplace Gottorp Castle, photographed in 2007. Christian's father Friedrich Wilhelm, Duke of Schleswig-Holstein-Sonderburg-Beck, from 1825 Duke of S-H-S-Glücksburg. Christian's wife, Louise of Hesse-Kassel. The six children of Christian IX and Queen Louise, photographed in 1882. From the left: King George I of Greece, Empress Maria Feodorovna of Russia, Alexandra, Princess of Wales, Crown Prince Frederick of Denmark, Princess Thyra and Prince Valdemar. 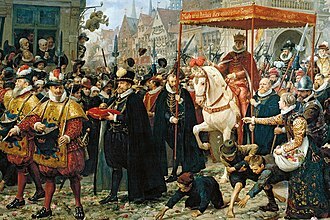 The coronation of King Christian IV on 29 August 1596 History painting by Otto Bache, 1887. 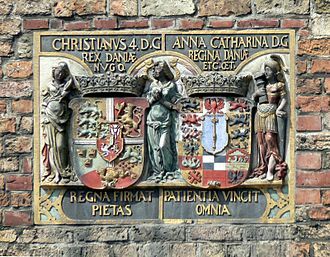 Coat of arms of Christian IV and Queen Anne Catherine. From Kompagnietor, Flensburg. A collage of Florence showing the Galleria degli Uffizi (top left), followed by the Palazzo Pitti, a sunset view of the city and the Fountain of Neptune in the Piazza della Signoria. A pedestrian at the intersection of Alinga Street and Northbourne Avenue, Canberra, Australia. A sign in Belo Horizonte, Brazil, directing pedestrians to an overpass for safe crossing. Langebro today. In direction towards Amager. Nørrebro seen from one of the lakes (Søerne) that separate the area from the inner city centre. Gefion carving Zealand from Sweden. The "lakes" in central Copenhagen, Denmark. Kim Larsen, Nibe Festival 2009.